Welcome to the last stage of this episode. 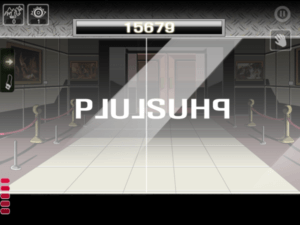 Compared to the hard puzzles in the previous stages, this one is relatively easy. 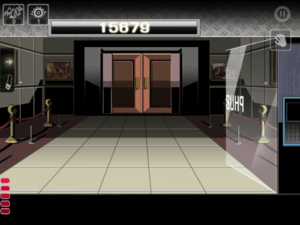 Let us guide you through this room and help you escape in one piece. 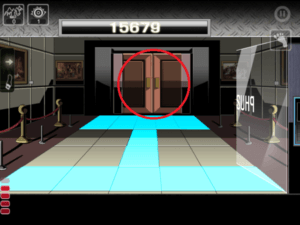 There are couple of doors in this stage, however the puzzles are pretty straight forward. You arrive at a door. All you have to do is to add the numbers on the top of the door to open the lock. 1+5+6+7+9 = 28. Use 28 as the code to break the first door. 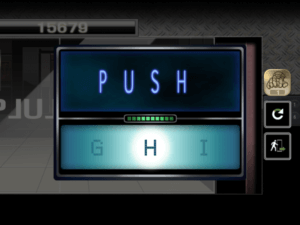 For the second door, the only letters that you can read from your side is PUSH. 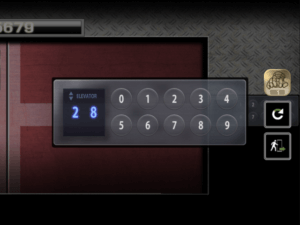 Use the code Push to unlock the glass door. With the last puzzle, you will have to switch to “feet” actions. Press on all the squares as followed because the door shows you the pattern. After which, you can escape the room in one piece and enjoy the ending! Congratulations for beating the entire episode. Do not understand this last step of 5-5: With the last puzzle, you will have to switch to “feet” actions. Press on all the squares as followed because the door shows you the pattern. After which, you can escape the room in one piece and enjoy the ending! Congratulations for beating the entire episode. Now I’m stuck. A lot of time invested to not finish. How can I advance?